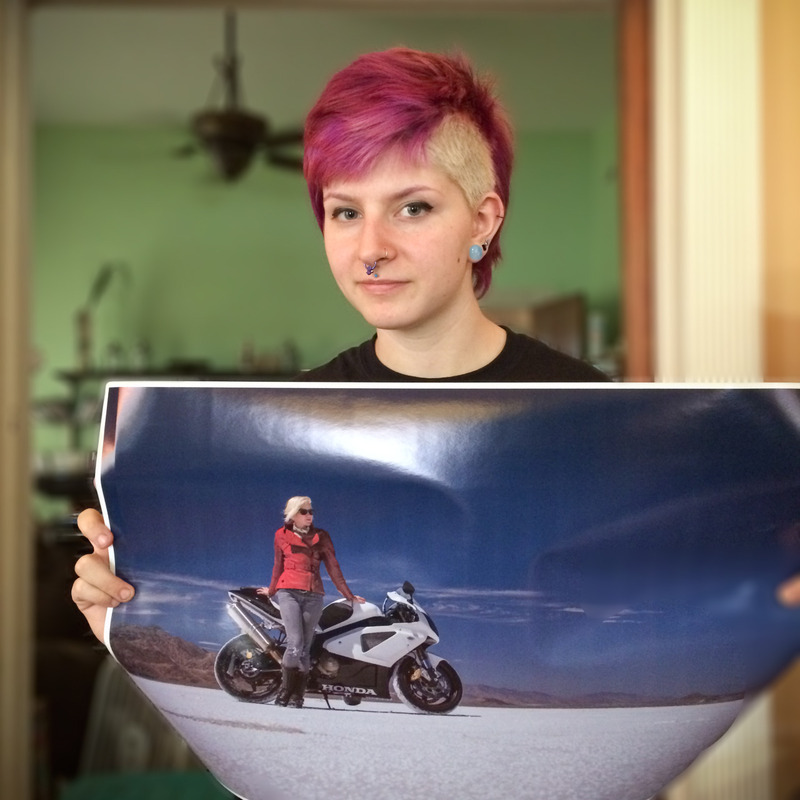 Silver Piston jewelry designer Steve West’s daughter Emma with her new Honda RC51 salt flats print! Want something for your garage or home? Head over to the MotoLady shop.